The Manufacturing and Engineering event has always brought together industry experts, innovators and manufacturing specialists with those that can use them in ways to produce products that are better, faster, stronger, cheaper, or whatever it is that your market or business demands. Now, in 2017 the show will offer visitors from the North East even more opportunities to try out the latest machines, production equipment or design tools and ask the experts probing questions. 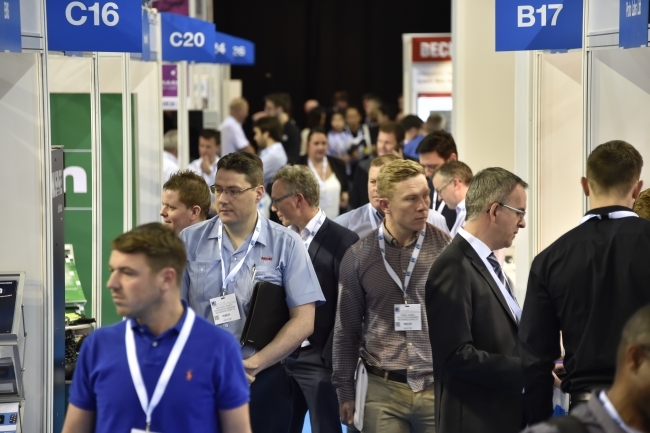 Education and knowledge sharing play a pivotal role at Manufacturing & Engineering, and this year’s event will feature its strongest conference line-up yet when it opens this July. This is the chance for visitors to join the discussions and learn from the experts. You can choose between keynote conference sessions and practical workshop seminars covering every element of the design and manufacturing process from CAD to customer. The full programme can be found here: ME North East Conference. Hitachi Rail will open day one of the conference by discussing the lessons learned in the first year of production at its purpose-built Newton Aycliffe site. Day two opens with the Industrial and Engineering division of Liberty House Group, who will examine transformational opportunities: reviving the fortunes of UK industry. Further highlights include the Centre for Advanced Additive Manufacturing examining the advanced design and manufacturing methods that are changing modern engineering. John Mills, the charismatic Chairman of JML Group discusses, investing in UK manufacturing to increase productivity and the Quicksilver World Water Speed Record Team, will show how they aim to regain the world water speed record for Britain by overcoming engineering challenges. The practical workshops at this year’s show offer a wide variety of learning opportunities to support industrial innovation. Spaces are limited so be sure to book your preferred sessions early. Sessions to note include those from the EEF – the Manufacturers Organisation and Proto Labs. In addition, the North East Maintenance Forum with the Automotive & Manufacturing Advance Practise (AMAP), will be hosting their July breakfast networking and training meeting at the event. Whilst the AMF will be holding their Marketing Club at the event. The Club aims to share best practice within marketing to encourage you to make the most of your marketing budget and stand out from competitors. The exhibition will once again be a celebration of manufacturing technology and design engineering and their importance to the economy of the Northern Powerhouse. The show gives visitors a great opportunity to source new suppliers and services in one time-efficient local venue. The full exhibitor list can be found here. Another new feature for this year will be a Virtual Reality demonstration area, where visitors will be able to take part in hands-on demonstrations of the latest VR design and manufacturing technology. Virtalis and the AMRC will be on-hand to show how your businesses can benefit from this cutting-edge technology.